In a small, electronic box found in the pockets of farmers across the African continent lies the power to open up opportunities for smallholder farmers across Ghana. This is what is being proposed by the founders of Farmerline, a service that will give farmers and extension agents the ability to communicate in new ways using their mobile phones. The Farmerline platform allows extension agents to mass-message farmers by voice or SMS, allowing farmers to leave messages that can be categorized and addressed. It will potentially provide a voice-forum on which farmers from all over the country can communicate with each other. This would allow for a single message to be sent in case of a disease outbreak, or for timely information to be delivered through daily ‘tips’, such as weather reports, to a large number of farmers. Agents may be able to focus trips to the field more on demonstrations and hands-on problems, relaying other information through the mobile network. 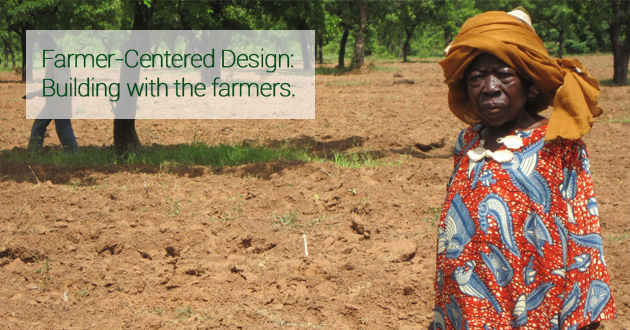 Small holder farmers make up 60% of Ghana’s working population. They provide a large portion of the food consumed in the country, yet many struggle to make a good living. A major problem they face is accessing information about farming and about trends along other parts of the value chain, such as market prices. Extension services are one way of addressing this issue. Extension agents can bring farmers information about business planning, planting, crop treatment, farming, markets, saving, weather and even lifestyle choices like health. In Ghana extension services to subsistence and smallholder farmers are provided primarily by MofA, but are being supplemented more and more by private companies and NGOs. For most farmers, access to information nonetheless remains a problem. They may have to wait for visits from extension agents to ask questions or learn about farming techniques, disease treatment, markets, and other relevant topics. This is a particular problem in farming where timing is very important to producing a successful crop. Information transfer is also a problem for agents, who are frequently responsible for visiting many communities of farmers with limited resources and transportation. Agents are responsible for 1000 to 2500 farmers and sometimes do not have time to address all their questions, even by mobile phone. Further, it is impossible to mass message information that needs to be communicated immediately, such as disease outbreaks or unexpected weather. You will not find any Farmerline users quite yet – it will be another few months before the system is ready to be used. 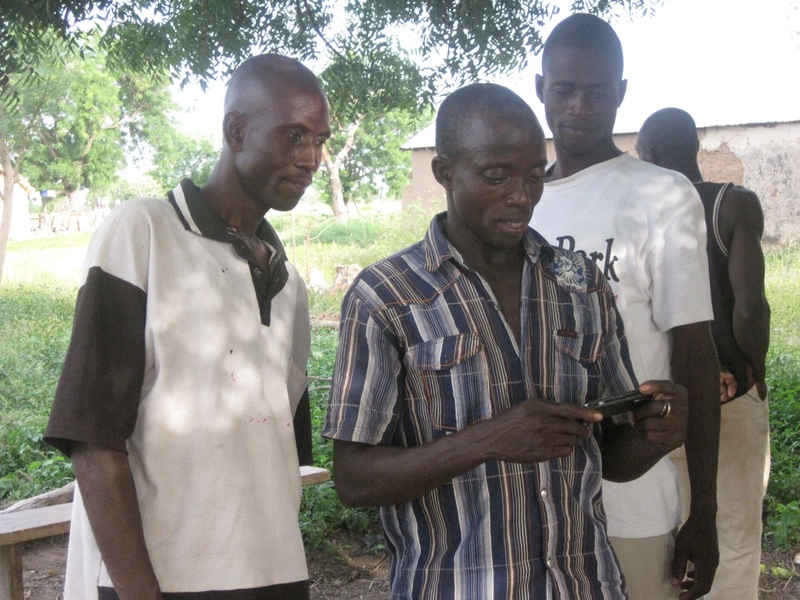 Research into the mobile usage of Ghanaian farmers is sparse, so the team is currently investing in interviews and testing with farmers and extension officers. They are, however, looking to secure funding to pilot the project in the near future! @maureenagena: I am a third born in a family of 3 and the youngest. I was born in 1985 and had all my education in Uganda with a BSc in Information Technology and later got a scholarship from the Canadian Common wealth program to study part of my Masters in information systems at St. Mary’s college in Halifax, Nova Scotia-Canada. 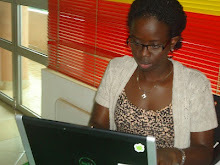 After my first degree in 2008, I got a job as an information and communications officer at Women of Uganda Network where I managed projects on Gender and Technology as well as Citizen Journalism. While there, I traveled widely and implemented many projects on youth and ICT. I then joined Text to Change first as a program manager and later as a communications manager. Besides my full time work, I am a part time online communications consultant with UNFPA Uganda and I am involved in many Tech innovations in Kampala. @kofiemeritus: When did you start getting the passion for ICT as a woman? @maureenagena: I started getting this passion when I joined women of Uganda Network (WOUGNET) in 2008 just right after my first degree. I underwent several training such as Gender and counseling, citizen journalism and several others. While at WOUGNET, I learnt that women face a lot of challenges when trying to use, access and apply technology in their work because of constraints like, limited skills, restrictions to their mobility and their inability to afford these ICT tools and service. @kofiemeritus: How were your parents’ (especially your dad) reaction towards your decision to study ICT? @maureenagena: (My dad passed on but he had always wanted me to study LAW at University because he thought I was too ‘smart’ and that I needed something so challenging) but my Guardians were very encouraging. It was my male Guardian Mr. Felix Ogwang a Civil engineer by profession who insisted that I should study a Technology course because in 2005, when I was just joining University, technology was a very big deal in Uganda. He told me that I would never go wrong and that I would be on very high demand for a job but I would also easily be my own boss and employ many people. @kofiemeritus: Did you face any challenges as a woman and your involvement with ICT? @maureenagena: Of course I did and I still do. The challenges started way back from school with intimidation from fellow students especially the male ones who kept on reassuring me that Science courses are not meant for girls. At the workplace, many employers do not have confidence in female IT staff and they always doubt their ability to deliver on their own without help from a man. @kofiemeritus: Tell us why you are so passionate about gender and ICT? @maureenagena: I am because there exists a big gender digital divide in Uganda. More men use, access and dominate the ICT sector as opposed to their female counterparts who are equally mentally capable. I am passionate because I advocate for gender sensitive ICTS policies to encourage more girls and women into technology and retain those who are already in the professional but struggling. @kofiemeritus: What is “text to change”, what societal problem is it solving and what is your position or responsibility in this organisation? @maureenagena: Text to Change (TTC) is a mobile for development NGO that conceptualizes, manages and analyzes mobile phone-based programs. TTC developed a flexible and easily scalable mobile platform, with state-of-the-art tools and techniques, to send out and receive text messages, mms, voice and data. TTC uses mobile technology to send out and receive information to educate and empower people on wellbeing related issues like health, education, economic development and Accountability. I joined Text To Change as a program Manger but was later made a communications manager and I am, in addition to managing projects, responsible for the communication platforms and need of the text to Change. @kofiemeritus: You wrote an article titled “Mobile Phones to Expand Demand for and Use of ANC/PMTCT services in Rural areas in Uganda”. Tell us about the purpose behind this. @kofiemeritus: Why do you think women should be given equal access to ICT? @maureenagena: They should, because the biggest percentage of those who bear the burden caused by any conflict and disaster are women and children. They are also the key stakeholders in promoting good health and building stable, self-reliant communities. Therefore limiting their use, access and application of ICTs slows down the development process of a country. @kofiemeritus: In your own opinion, how can mobile technology bring about social change in Africa? @maureenagena: Mobile phones are effective in reducing the “distance” between individuals and institutions therefore making sharing of information and knowledge easier and more effective. The benefits of mobile phones are amplified by the fact that the spread of mobile technology in some rural areas has occurred much faster than with other information & communication technologies (ICTs). Despite these benefits of the mobile phone, challenges like high costs of handsets, limited network coverage and limited usage capacity still exist. These challenges can be solved by the potential of new models of phones that combine text, audio and video to be used in a more systematic manner that enables sharing of user generated multimedia content. @kofiemeritus: Who is your role model and why do you like that person? @maureenagena: My role models are mothers of all nations who struggle tirelessly to raise children and leaders. I have no particular role model but I am working towards being a role model to many. @kofiemeritus: What has been the most challenging thing in your life? @maureenagena: Since I am still alive, I am yet to experience the MOST challenging thing. Nothing has been so challenging so far. @kofiemeritus: What is your view on the African Educational system/structure? @kofiemeritus: What is your advice to young women in Africa? @maureenagena: Young Women in Africa should believe in themselves and know that it’s only them who can shape their future and destiny. They should not be intimidated because of their Gender.